Away from Japan’s big cities, the combination of a shrinking population and urban migration are having a visibly devastating effect. Once thriving towns are now all too often little more than sad reminders of the past, with shops shuttered up and former essentials such as train services slowly disappearing. A phenomenon I documented just recently in this photo essay: Looking for the lost. Of course not everything closes, and life does go on for the generally older residents who remain, meaning amidst the shutters and abandoned buildings, some businesses do struggle on. Like this large and rather unusual clothes shop. Back in the day, it was clearly where the town’s more style conscious residents did their shopping. Those with a fair bit of money too considering the faded but still expensive price tags. 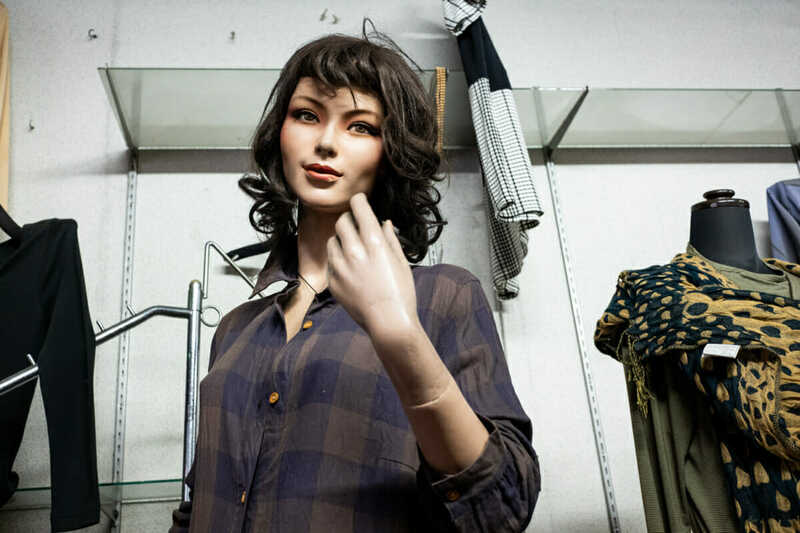 A place where foreign brands and faces abound, although the latter are rather unsettlingly all mannequins. Surrounded by these unusual figures, not to mention the general disarray, was the owner. Now badly bent over and really quite deaf, she nonetheless still opens up everyday. 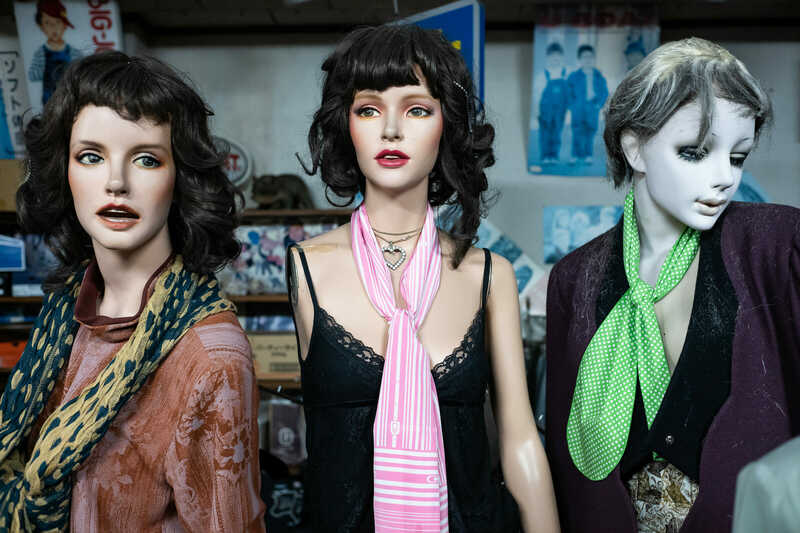 With good humour, she was also happy for a couple of strange foreigners to enjoy photographing the similarly strange mannequins. 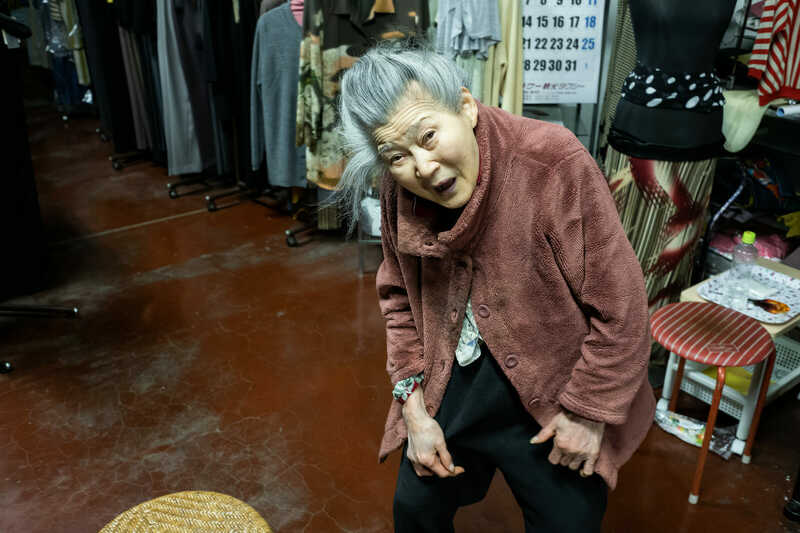 At the same time, however, she very matter of factly kept lamenting that while we were obviously fascinated, nobody ever actually goes there to shop anymore. And so now, after 70 years in operation, the shop, and almost certainly its last proprietor, patiently wait as closure quietly beckons. Really good pictures Lee and the colours are amazing. The bokeh in the pictures is very nice. Sad to see these places close, but if they didn’t exist first place Tokyo would be a sadder place without them. It would be amazing to have have seen this place in its heyday when it might have been packed with people. Thank you very much. Using a 35mm lens, bokeh doesn’t come into play that often, but yeah, the glass I favour does produce nice results. I know eh? It must have been quite a place. It’s huge for starters, but there is still so much expensive and quality stock in there. All we can do now is imagine what it was once like I suppose, but it some way that’s more interesting. Great find but oh my god that poor old lady in the store with all those mannequins. I’d be so scared opening the door every morning! Haha! 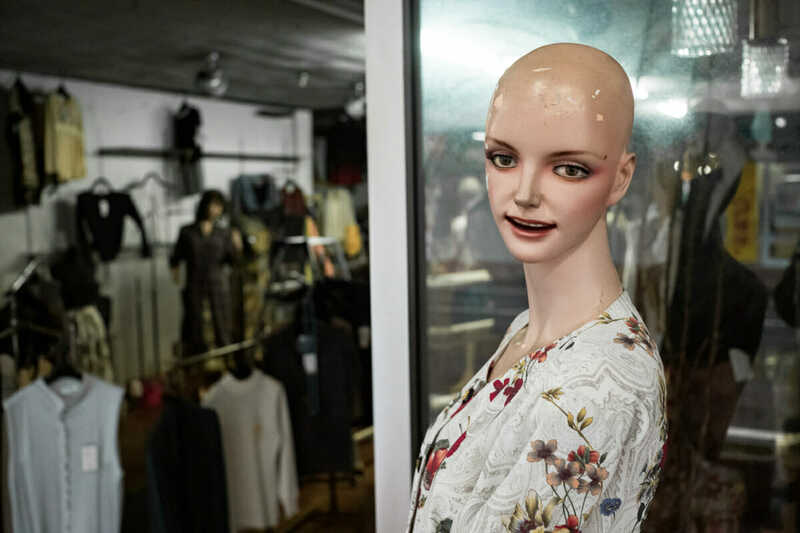 I’m happy to say she didn’t seem to think they were so strange, although she was aware of how newer mannequins are quite different. 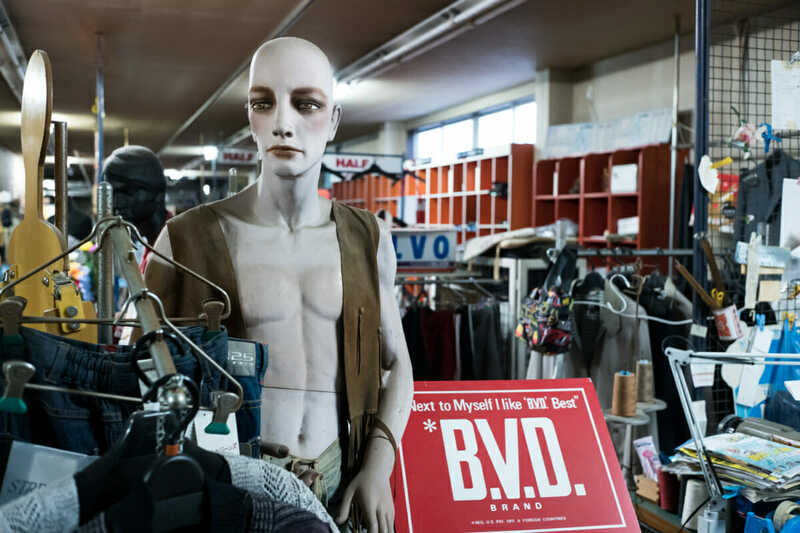 Was there any 80s store music to go with the mannequins? The sun blued pictures on the wall and the cracked floor tell of it being abandoned in spirit if not body for a while now. That last photograph is perfect. Haunting. 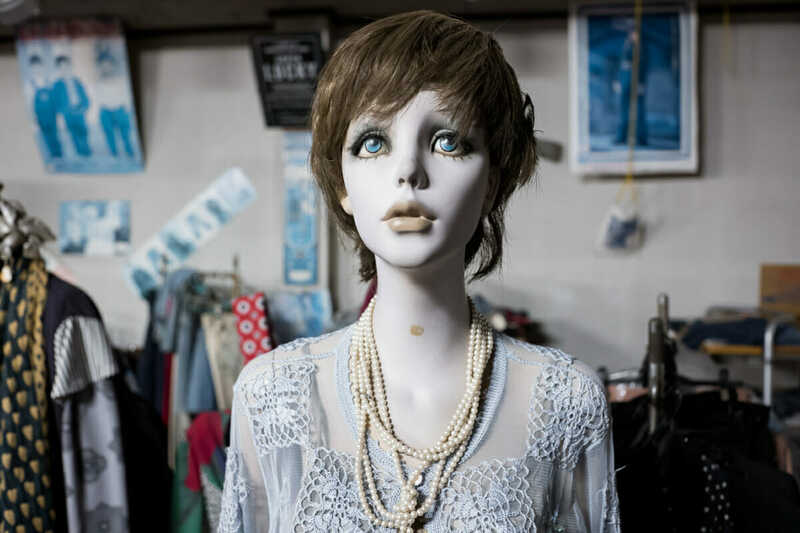 It reminds me of I am Legend, Quiet Earth, and The Martian Chronicles, all of which feature scenes of total depopulation and protagonists looking to mannequins for company. No music I’m afraid. That really would have been the icing on the (probably stale) cake. Cheers. As soon as I saw it that beckoning hand had an impact, so very good to hear that it comes through in the photo. I bet you could be fitted up for a nice pair of dungarees in there; regardless of what you originally wanted! Aside from the bokeh, the photos reminded me of BJP (British Journal of Photography). I particularly like the portrait; the calendar in the background a hintet at the ephemeral. Yes, it’s surprising how many of them there are, or at least used to be. The modern ones are quite different. Happy to say that there was no hard sell, and definitely no dungarees were purchased! Where’s Mikey when you need him? Mannequins have freaked me out since I was a little kid. They’re evil. I tells ya. Pure evil.